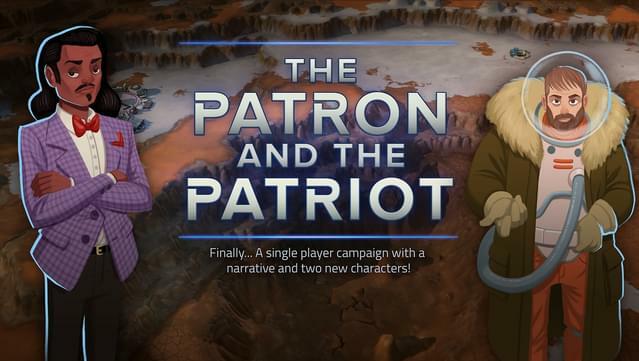 If you thought being the CEO of a company and maintaining a monopoly on Mars was hard work before, get ready to double down with a bunch of new campaign enhancements in the Patron and the Patriot! With two new characters joining the fray, new story-driven content, new game modes, and more, this DLC takes the single player experience and adds hours of additional entertainment and content to explore. New CEO: Dr. Mikhail Nekrasov - Dr. Nekrasov holds the patent for Transparent Aluminum, which permits him to substitute aluminum for glass in construction. Since he is an independent developer, he can construct any HQ type he wishes at the start of a game. New CEO: Manuel Valencia - Manuel has excellent relations with former clients and, as a result, is able to maintain a strong bond rating and pay only half the cost for financing short term debts. With his Core Sampling division, Manuel has access to one Core Sample perk per level of his local Headquarters. 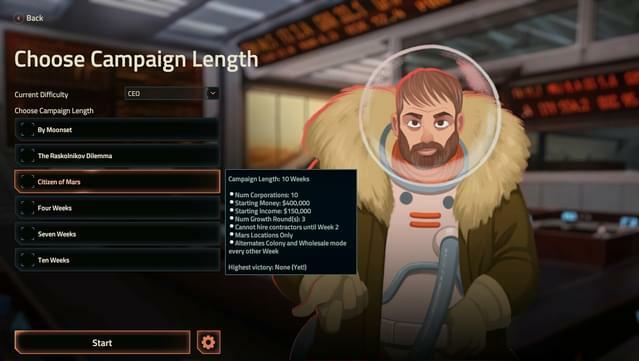 New Colony Classes - Different colonies have different needs. Colonies in the campaign can specialize in one economic area, which alters the stock market in various ways. Try to keep up, or risk falling behind your competition! 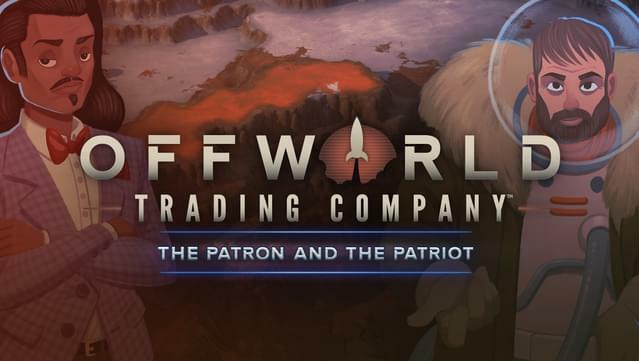 Choose your Campaign Length - “Perks” are at the core of Offworld Trading Company’s campaign. The number of games played in a tournament affects how your perks progress, which can change how you choose to strategize as you play. To offer more variety, the campaign tournament can now last for 4, 7, or 10 games. 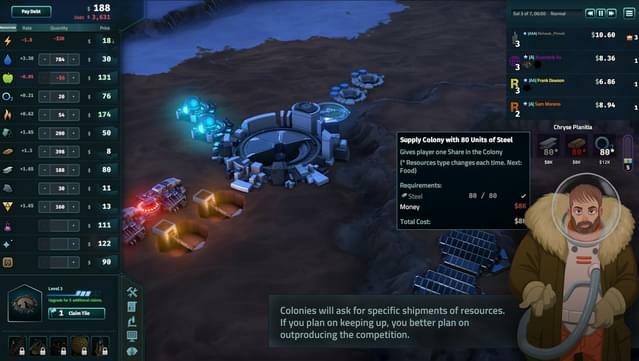 New Campaign Feature: Wholesale Orders - Not all colonies want you to build habitats and work modules for them! 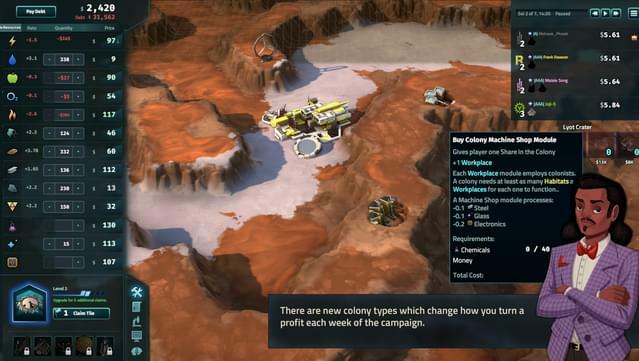 This game mode is more challenging because the colonies could request any variety of commodity types. As the game goes on, the order sizes increase, and the resource the colony demands could be different every time! This means you’ll need to keep an eye on costs and watch your economy as you try to meet the demand. 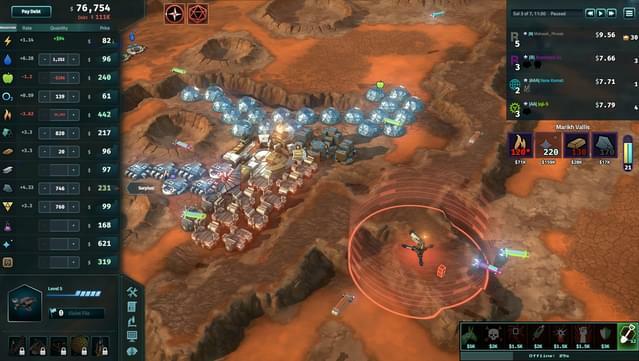 New Campaign Feature: Colony Build - Pay attention to the colony classes in your game! 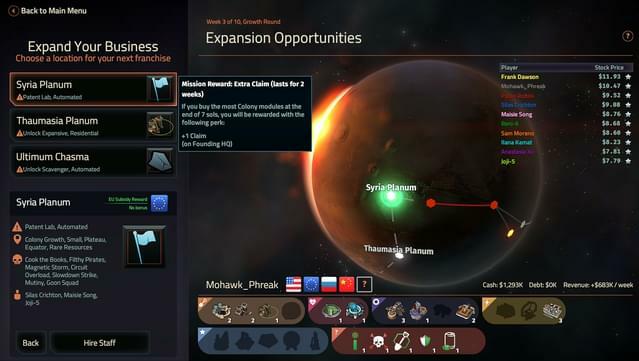 It may affect what modules are available to construct, which will mean you need to provide different resources based on their needs. The more versatile your company is, the easier it will be for you to keep up with changing demands. New Achievements - Play through the new campaigns and explore all of the different characters to unlock new achievements (requires GOG Galaxy client)! The GOG Galaxy client is required to access multiplayer.